Penland’s Furniture is the Swannanoa NC area for your interior design and furniture selection needs! 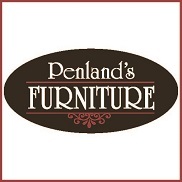 Penland’s Furniture is all about making sure you are able find exactly what you are looking for! With a high selection of furniture you can pick out everything you want, or you can use our interior design services and let us help you design your dream home! We even help get your home sold with our fabulous home staging experts. We take pride in having the highest quality of furniture ranging from indoor to outdoor pieces. Homes are places where memories are made and we want to make sure that it is filled with only the best. Contact us today and let us help you! Penland’s Furniture staff helps the Swannanoa area homeowners find the best products. Going out of our way for our customers is what we do best! We always make sure that our customers are treated with the highest quality of service. The minute you walk into our doors you are greeted by our highly qualified staff that are ready to help you find that perfect item for your home. Whether it’s just one piece or you’re looking for a whole design concept or even if you are looking to sell your home to get into your dream home we have people that can help you. We know that your home is one the most important assets in your life and we want to make sure that what in it is just as important. Stop in or give us a call we would love to help!